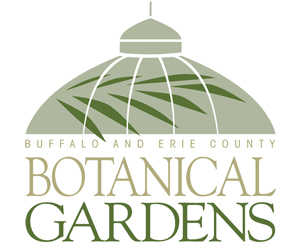 You may have heard Amy Stewart speak last year during the National Garden Festival in Buffalo on her book, Wicked Plants: The Weed that Killed Lincoln’s Mother & Other Botanical Atrocities. If you did, you already know what an engaging speaker she is. If you missed her last year, hurry and register for her talk tomorrow on her newest book, Wicked Bugs: The Louse that Conquered Napoleon’s Army and other Diabolical Insects. The talk will take place at 6:30 p.m. at Clearfield Branch Library, 770 Hopkins Rd., Amherst. Talking Leaves Books will have copies of her book available for purchase, and a book signing will follow the talk. The event is free, but registration is required. Call (716) 688-4955 to register. As she travels on her speaking tour, Stewart has found that not everyone shares that view. She spends a lot of time in hotel rooms and is astonished at the number of TV commercials that promise to protect trees from insects. “Don’t they know what an important habitat that is?” she said. While bugs that simply annoy us don’t qualify as wicked bugs, Stewart’s book does include a “Gardener’s Dirty Dozen” of the most-loathed garden pests, with a few surprising facts about each one. But what Stewart really considers wicked bugs are ones that are destructive to humans or affect us on a catastrophic scale. One wicked bug is the louse that conquered Napoleon’s army. Napoleon marched into Russia in the summer of 1812 with half a million troops and the goal of conquering the world. He left defeated, with just a few thousand soldiers, and it was the beginning of the end of his military career. Napoleon was defeated because he was trying to conquer a huge territory, the winter was so cold and the Russian army outsmarted him. Another factor: his soldiers were plagued by body lice. The body louse has been around for about 100,000 years, Stewart said, since the time people started wearing clothing. The lice live in the seams of clothing. The body louse is more than a nuisance; it can spread typhus and trench fever, diseases that can be fatal. Since there were no laundromats along French soldiers’ route, the lice thrived and reproduced in the dirty clothing, spreading those diseases among the French soldiers. 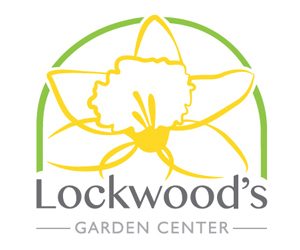 For gardeners in Buffalo and the Western New York area, Stewart said the bug we should worry about most is also one that can make us sick: the deer tick. Ticks spread disease including Lyme Disease. Stewart was visiting a friend in another part of the state and was bitten by a tick. She recommends wearing clothing that is embedded with pyrethrins, which repel mosquitoes as well as ticks. The pyrethrins stay in the clothing even after washing, she said, but don’t get on your skin. She also recommends checking yourself in a full-length mirror to see if you have any signs of being bitten. 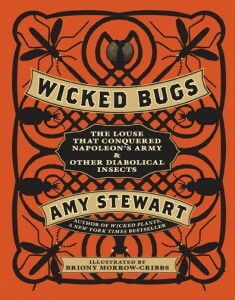 When writing Wicked Bugs, Stewart said she approached the project as a storyteller. 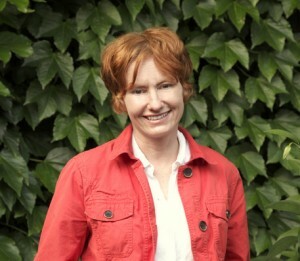 Stewart is the recipient of a National Endowment for the Arts fellowship, the American Horticulture Society’s Book Award, and a California Horticultural Society Writer’s Award.